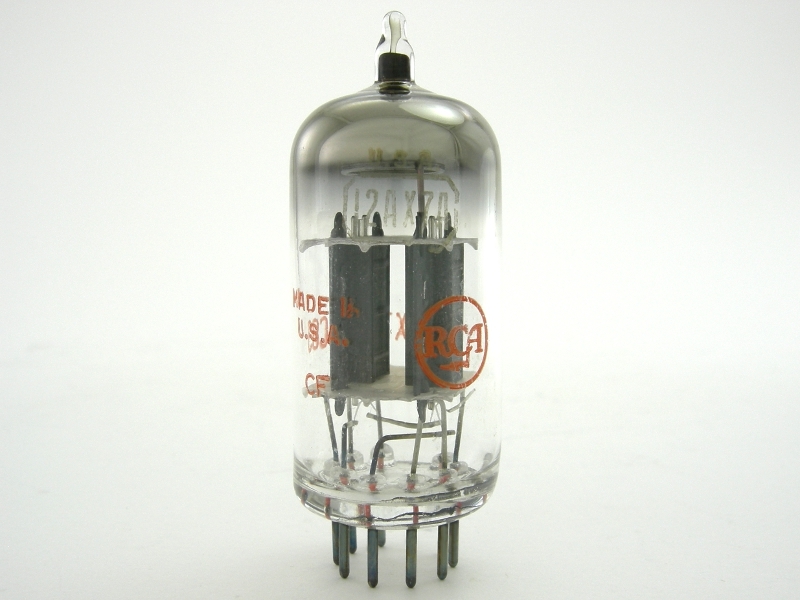 This 1960s RCA 12AX7A tube has short gray plates and a halo getter. The red print on the glass has the RCA logo (partial / missing). Tubes that test as “phono grade” are the quietest range for noise and microphonics on our custom noise testing equipment. 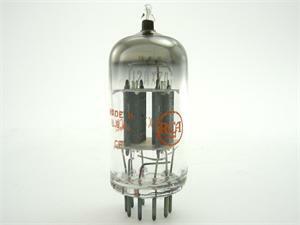 They are an excellent choice for sensitive applications such as microphone preamps, DA converters, and phono stages. This tube is sold individually. It ships in a new white box with test results for current draw (mA) and transconductance (Gm). Photo is a sample from the lot. Matched pairs, when available, are listed as Item 631.